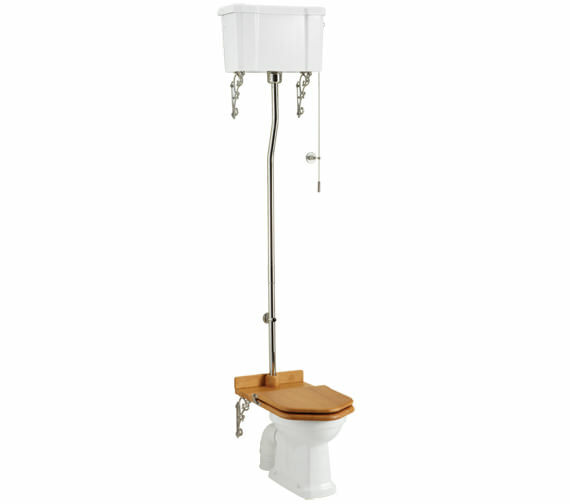 This majestically alluring, and stylishly impactful High Level WC With Ceramic Cistern Lever from Burlington is a prime quality bathroom adornment which provides a classy look. Made from high quality vitreous china and finished in pristine white, the WC, the microscopic pores are considerably reduced by the NanoGlaze coating which ensures easy maintenance. Box rims ensure even flushing for complete rim cleaning, and the flush pipe is made from high quality brass and finished in chrome. What's the packing size and weight of this toilet? Packed Dimension: Pan - P2 - 380 x 550 x 438 = 0.0915 m3, Cistern - C5 - 225 x 540 x 370 = 0.045 m3, Flush Pipe Kit - T30 CHR - 1140 x 380 x 105 = 0.0455 m3. 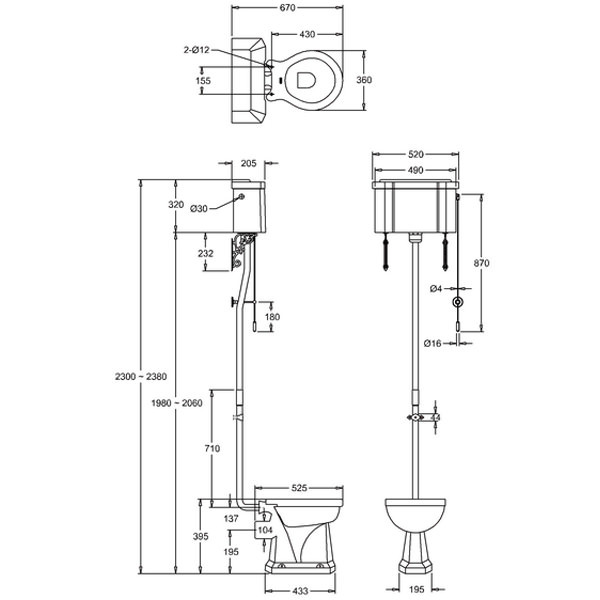 Gross Weight Including Packaging: Pan - 19.3kg, Cistern - 17.3kg, Flush Pipe Kit - 5.1kg. Nett Weight: Pan - 17.45kg, Cistern - 16.15kg, Flush Pipe Kit - 3.5kg. We supply products to the UK mainland only. Hi Anna, you can use the QS-V55951 Carbamide white standard toilet seat S13 or QS-V55954 Carbamide white soft close toilet seat S18. 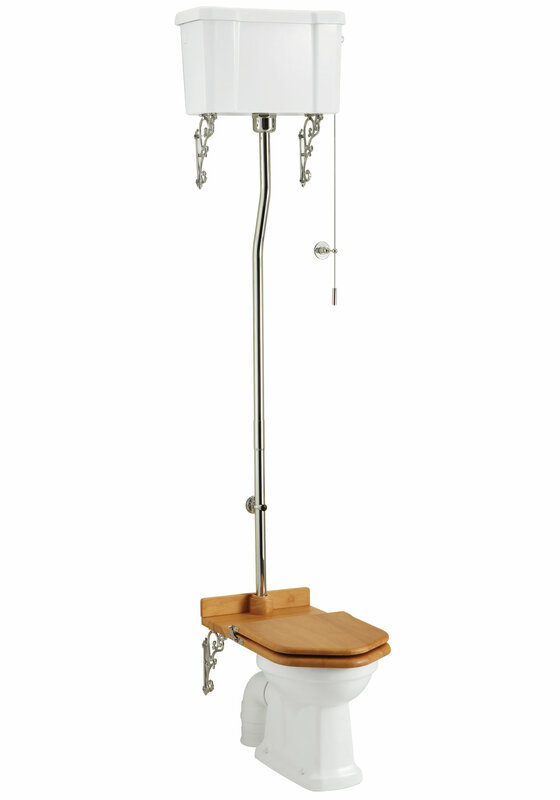 http://www.qssupplies.co.uk/bathroom-furniture-shower-taps/66235.htm.